Amenities : Spa, Gym, yoga, infinity pool, Free Wifi access, iPd dock, sunken bath tubs, indoor and outdoor showers, flat-screen television. 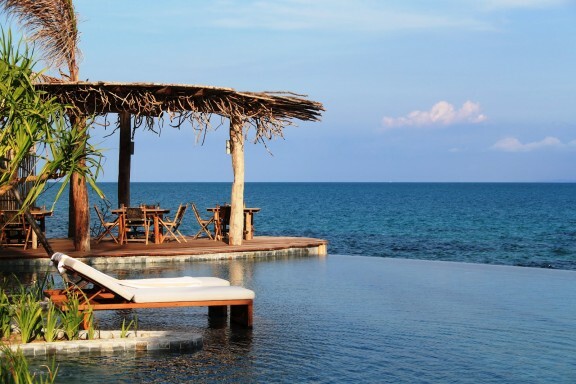 Song Saa Private Island is an Eco-resort which is located in Koh Rong Islands. It is prefect escape which spreads over a pair of spectacular isles. It has thatched and stone villas scattered as dotted lines among jungle canopy and over water in the sea. The resort lies in Koh Rong Archipelago of Cambodia which is made up of mainly uninhabited islands. The entire area is an oases of coral reefs, rain-forests and pristine beaches. Amenities : Banquet facility, swimming pool, facilities for disabled, fitness and gym amenities, laundry services, safe deposit box, child care, conference care, gift shop, internet facilities, room service, outdoor swimming pool, air-condition in rooms, DVD plyaer, Mini Bar, Tea and Coffee, Spa facilities. 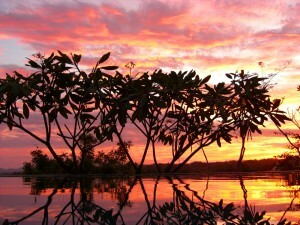 Gayana Eco Resort is located at the edges of Gaya, a lush coral reef Island off the Borneo coast. 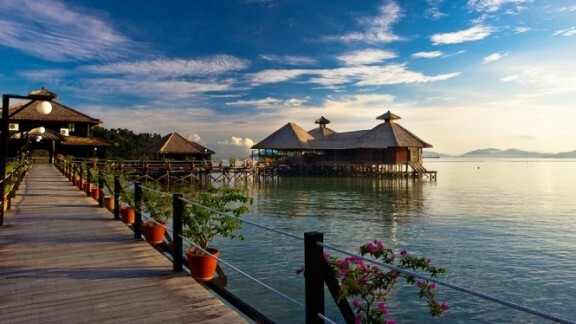 It takes few minutes by a ferry from Kota Kinabalu to reach the resort. The Eco-resort has 52 over-water individual villas which are designed to enhance the noise of ocean below while holding the abiding vistas of Mount Kinabalu on the horizon. Gayana Eco resort is the only property which has its own Marine Ecology Research Center which works towards the propagation of Giant Clams and restoration of natural coral reefs. Staying at Gayana Eco Resort, you can also be a part of the activities to bring back the vibrant ocean life in its own natural form. The resort is completely devoted on the conservation of marine life and it has set up its own laboratory. This way it has created an authentic simulated habitat of unusual fish species, corals and clam holding reserves and an educative auditorium.